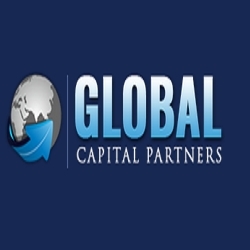 With their custom-made financing solutions, Global Capital Partners Fund assist their clients with the acquisition and development of various hospitality properties across borders. New York, NY, February 20, 2019 --(PR.com)-- Commercial lenders operating in Tribeca can find financing solutions tailored to their investment needs with hard money loans offered by Global Capital Partners Fund. As an independent funding firm, GCP strives to provide solutions to their clients with minimum loan processing time. The hospitality business is a lucrative market in the US with a high ROI. For this reason, investors are on the lookout for potential properties for the construction of world-class resorts. When investors come across a location that has the potential for high revenue generation, they rarely have time to wait for the completion of tedious paperwork qualifying them for conventional bank loans. In such cases, commercial lenders like GCP are a godsend for investors looking for urgent, feasible financing options. Global Capital Partners Fund (GCP) offers tailor-made financing solutions for the acquisition and construction of hospitality properties. With their global financial channels, GCP has provided financial solutions for the acquisition of various hospitality properties across multiple global locations. Investors that are looking for viable financing options can get in touch with Joe Malvasio and his team on their website or via email. Joe Malvasio is a senior lender at GCP Fund. With 30 years of experience in the industry, he facilitated numerous clients with their commercial lending and acquisition financing projects. He has recently closed a $6 million deal for a world-class resort at a prime location in Loreto Baja, Mexico.